Whether you are a bibliophile, a collector or someone looking for a possible way to supplement your income, you may be thinking of ways to buy and sell rare books. 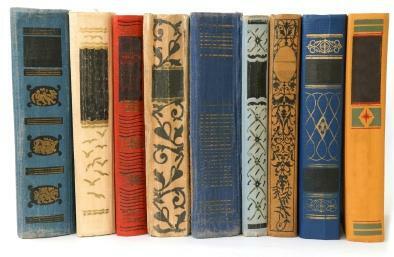 There are many people that think that all old books are rare and valuable. Unfortunately, that is not the case. The age of a book is not enough to qualify it as valuable and/or rare. Over the years the criteria used to classify a book as rare has been the subject of great debate among experts in the field of books and book collecting. Simply put, for a book to be considered rare it is necessary for the demand for the book to be greater than the available supply. To learn more about identifying rare books see the LoveToKnow article, How to Identify a Rare Book. People that deal in rare books often choose to limit their area of interest to antiquarian books or modern first editions. Naturally, there are rare book stores and individual dealers that buy and sell books that fall into both categories. However, just as the description and definition of the term rare, when referring to books, has remained vague and highly argued, the terms antiquarian book and antiquarian bookseller also elude exact definition in the book selling world. All three terms are excluded from the glossary of terms on the Antiquarian Booksellers' Association of America website and are given very vague definitions in both John Carter's popular reference work ABC for Book Collectors and the Encyclopedia of the Book by Geoffrey Ashall Glaister's. In his work, Bookfinds: How to Find, Buy, and Sell Used and Rare Books, Ian C. Ellis makes a definitive distinction between antiquarian books and modern first editions. Although not all experts in the fields of buying, selling and collecting books agree, Mr. Ellis' simple explanation of book categories is easy to understand. Basically, all works from 1455, when the first Bible was printed by Gutenberg, up to the time that the first books were first mass produced during the Industrial Revolution in the early 1800s are considered antiquarian books. All books printed after that are considered modern firsts. The Internet offers many choices for those that sell or buy rare books. For some people their love of collecting and searching for books has lead to fun and profits when they sell rare books to other collectors.